I quilted this Christmas quilt for a customer in early December. She has done some nice machine embroidery with her great machine. The quilt looks great in person. She was so pleased with the quilt, she may keep this one for herself. 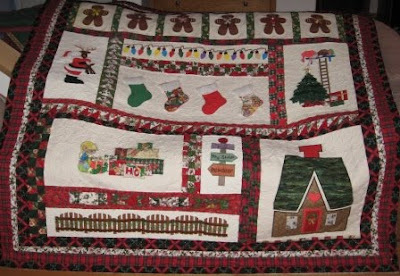 She has many to do and plans to give most of her quilts away to family and friends. I think the embroidery was a pattern "T'was the Season" but I did not get the designer's name. Here is the green flannel backing. The quilting of the darker boarders shows better on the back side. I have used holly leaves and berries. The finer boarder has a loops pattern. 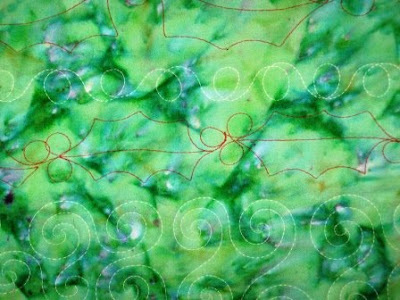 I wanted the background quilting to look like blowing snow. I thought this would look good with the Christmas theme. 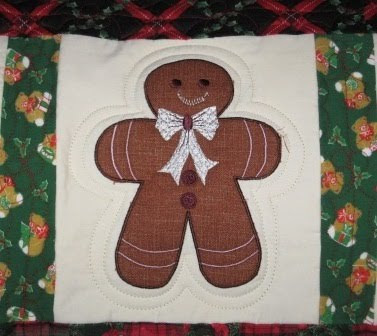 On the gingerbread men background I did two rows of echo quilting. It help make the cookie pop a little and made it look more 3D. 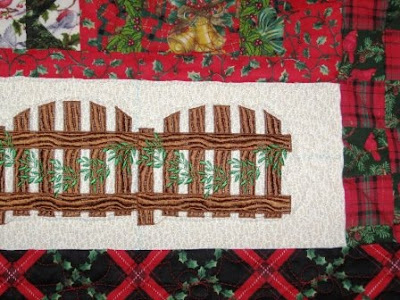 This hole fence and leaves is all thread done on her machine. 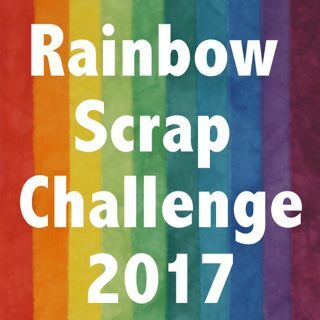 It turned out great. I have a few more of Laddie's quilts I will show you in the future. 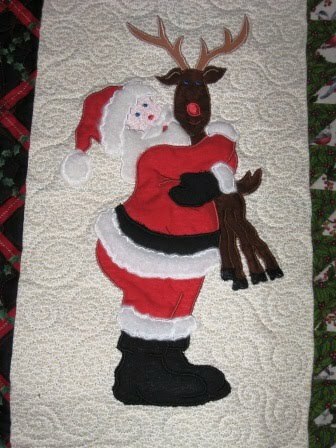 I like to make sure I have the customer's permission to show you their quilts. I also like to know if the customer wants their name in part or whole in my post. 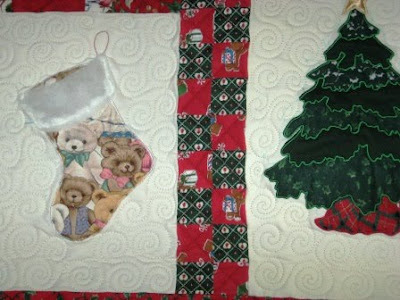 I hope you enjoy seeing some of my quilting and my customer's work. I do not get enough of my own quilts done these days so I have to show you what I do get done. Did you see today's date 1/11/11 wow what about 11/11/11 later this year.